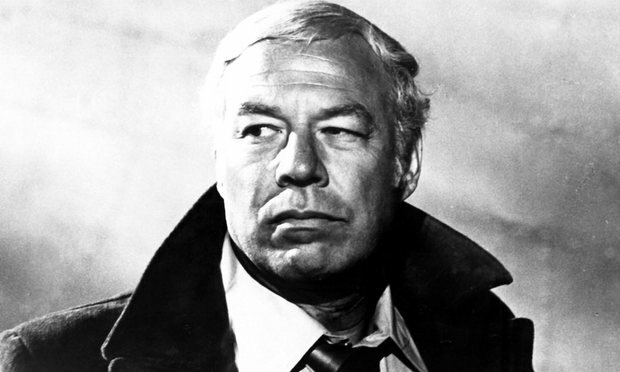 On Sunday, February 28, the Oscar-winning actor George Kennedy passed away from natural causes at the City of Boise, Idaho. He was 91. Best known for his work in the 1960s classic Cool Hand Luke, George Kennedy was a top actor who frequently played the tough guy in movies. As he won the Academy Award in 1968 for Best Supporting Actor in the movie Cool Hand Luke, where he portrayed a savage chain gang convict alongside Paul Newman. George had been receiving intensive care for the past month, until he couldn’t keep up and peacefully passed away on Sunday morning, said his grandson Cory Schenkel. The actor started from the bottom as most do, working in Hollywood since the 1960s landing a few small roles in films like Spartacus, Strait Jacket and In Harm’s Way. After he won the Academy Award for best supporting actor in a film, Kennedy continued to star in the movie The Guns of the Magnificent Seven, in which he gained more recognition nationwide. As a 6-foot-4 man, there’s no wonder Kennedy frequently played a series of heavies in the movies. On his track record there are instant classic such as The Good Guys and the Bad Guys, Dirty Dingus Magee, in which he performed together with Frank Sinatra and Fool’s Parade with James Stewart. The actor’s legacy leaves a massive compilation of George Kennedy’s work on film, as well as being depicted as a humble actor and wise man. “He was a great man who loved his family and his fans,” said Kennedy’s grandson Cory Schenkel. New Yorker George Kennedy never had any trouble portraying bad guys or heavies, as he was a former Army career soldier himself. However, he also played comically against type as Captain Ed Hocken next to Leslie Nielsen in the Naked Gun humorous trilogy. So its safe to assume that Kennedy also liked to provide more than a tough guy look to his films as he showed his entertaining side on the set of The Naked Gun: From the Files of Police Squad. Having a track record of more than 50 years in the film industry, Kennedy appeared in countless movies including The Flight of the Phoenix, Earthquake, and the Airport series. Although Kennedy had the tough guy look, with a deep voice to go with it, he often showed signs of insecurity regarding acting jobs and auditions for a role. Kennedy not only leaves a massive legacy behind his passing but is also preceded in death by his wife Joan Kennedy, alongside with his daughter Shannon Sullivan and grandson Cory Schenkel. Schenkel, who lived with him and helped him in the last few months, described the actor as “quite a family man”. “He never turned a fan away and just enjoyed making movies and bringing joy to other people,” his grandson Cory added.